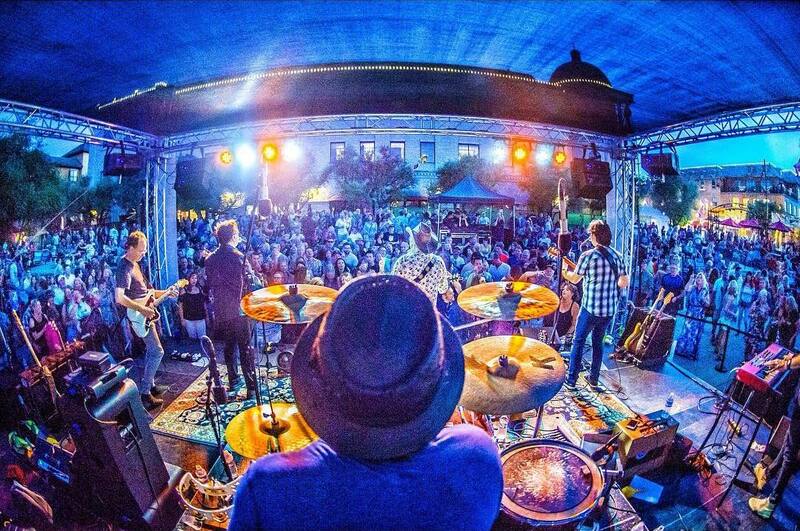 News: This Weekend: Terra Linda & Ukiah + MORE SUMMER SHOWS! We enjoyed performing three shows this past weekend as we hit the road traveling to Bear Valley, Palo Alto and San Ramon. We got things heated up just in time to bring it back to the North Bay and on to Mendocino County this weekend. Also, we have some great show announcements below! THIS FRIDAY, 7/27 Concerts Under The Oak in Oak Plaza at Northgate. We’re back for our 3rd appearance at this fun annual summer event. 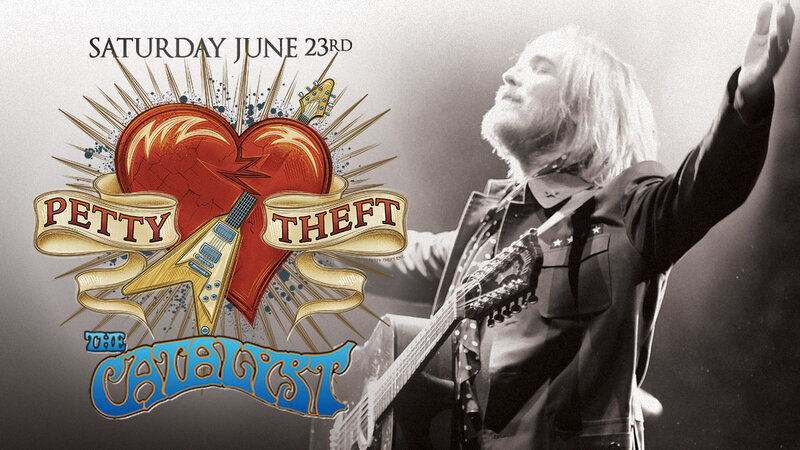 Bring the family for a nice evening and enjoy the great music of Tom Petty. Wine, beer, soda and snacks will be available. Two sets starting at 6PM and ending at 8PM. Oh, and it’s FREE! THIS SATURDAY, 7/28 Nelson Family Winery – Ukiah. This has become an annual event for us and one of our best summer shows of the year. Come celebrate the music of Tom Petty in this gorgeous outdoor natural amphitheater at this fine family-run winery. Tickets remain available so get yours while you can! FRIDAY, 8/17 Powerhouse – Folsom. It’s been awhile, and we’re looking forward to another crazy night at this wild joint. SATURDAY, 8/18 Crystal Bay Casino – Crystal Bay, NV. Our shows at this venue have been fantastic and we are looking forward to being up in the beautiful north shore of Lake Tahoe celebrating the music of Tom Petty. Make your plans now to come up to Tahoe and JOIN US for a FUN night! Tickets available NOW! FRIDAY, 8/24 Mammoth Rocks – Mammoth Lakes in the Village. We are excited to be returning to this classic rock tribute band music and food festival and we close out the 2nd night of the 3-day festival. This is the 10th anniversary of this great event and we are proud to be a part of it. JOIN US! SATURDAY, 8/25 The Chapel – San Francisco! We’re coming home to our “city by the bay” for a long overdue return to one of our favorite venues in our home city. This will be a special “Evening with” performance featuring two-sets celebrating the musical legacy of Tom Petty and the Heartbreakers! No opening band. Get your tickets NOW. SATURDAY, 9/15 The Fremont Theatre – San Luis Obispo. We are looking forward to being back at this amazing theatre where we had one of our best debuts last January. Tickets are on-sale and available now! FRIDAY, 9/21 McMenamins Crystal Ballroom – Portland, OR. We are very excited to be doing our first headline show at this beautiful and historic venue in downtown Portland. If you ever wanted to see PT in a legendary venue performing for 1,500 people then this is the one. SATURDAY, 9/22 El Corazon – Seattle, WA. From Portland we head to Seattle for our debut at the iconic concert hall, El Corazon, “The Heart” of downtown Seattle. Tickets are available now. News: MORE SUMMER SHOWS: Bear Valley, Palo Alto, San Ramon & Ukiah! THIS FRIDAY, 7/20 Bear Valley Music Festival – Bear Valley. We are looking forward to making our debut at this fabulous music festival in a beautiful country setting. Tickets are on sale and available now! SATURDAY, 7/21 Palo Alto Twilight Summer Concert SeriesFREE Summer Concert in Mitchell Park, with delicious fare from local food trucks and vendors. Show is from 6:30-8PM. All Ages Welcome. 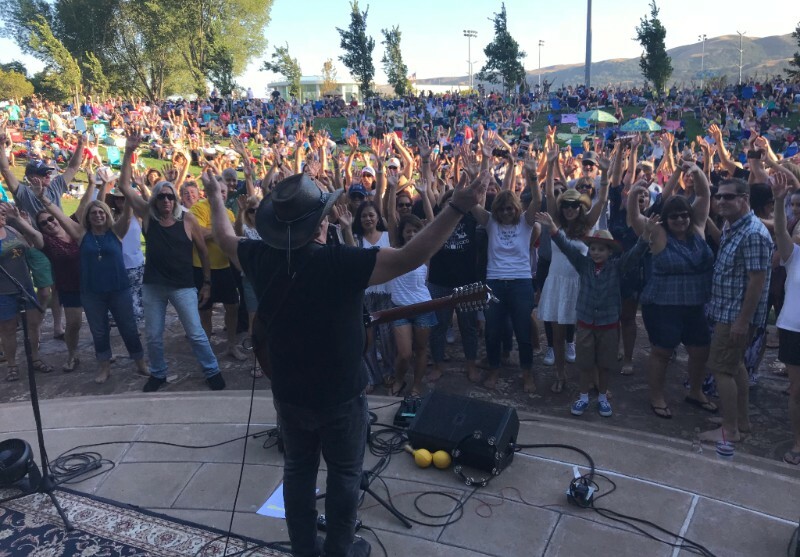 SUNDAY, 7/22 San Ramon Summer Concerts in Central Park Bring the family for a perfect summer evening in San Ramon’s Central Park. Enjoy the great music of Tom Petty, bring a picnic, blanket and/or lawn chairs. Wine, beer, soda and snacks will be available for purchase at this fun summer outdoor evening event. Two sets starting at 5:30PM and ending at 7:30PM. SATURDAY, 7/28 Nelson Family Winery – Ukiah. This has become an annual event for us and one of the best summer shows that we look forward to every year. Come celebrate the music of Tom Petty in this gorgeous outdoor natural amphitheater at this fine family run winery. A guaranteed great evening. Tickets remain available now! News: SUMMER SHOWS: Hopmonk Novato, Santa Rosa, Ukiah & MORE! WEDNESDAY, 7/11 Wednesday Night Market – Courthouse Square, Santa Rosa. We will perform two sets from 5:30-8:00PM. FRIDAY, 7/13 HopMonk Tavern – Novato. This is a rare summer club appearance in this intimate Marin venue. This will be “An evening with” performance featuring two-sets of all your favorite Tom Petty songs. Tickets are going FAST for this one and it will sell out soon, so grab yours now and JOIN US! FRIDAY, 7/20 Bear Valley Music Festival – Bear Valley. We are looking forward to making our debut at this fabulous music festival in a beautiful country setting. Tickets are on-sale and available now! News: This Weekend In Alamo & Santa Cruz + Santa Rosa / Novato & MORE! THIS FRIDAY, 6/22 Alamo Summer Concerts – Livorna Park, Alamo. This is a return performance for us and last time the park was packed! Get there early. We will perform from 6:30-8:30PM. THIS SATURDAY, 6/23 The Catalyst – Santa Cruz. The Waiting IS the hardest part as we return to headline another evening in this historic venue. The Catalyst happens to be the only venue we have ever played that Tom Petty & The Heartbreakers actually performed at (back in 1977). Our headline debut last year was a big success and a great night. Come JOIN US again for a very special evening in this classic music venue in Santa Cruz. Tickets are on-sale and remain available now! 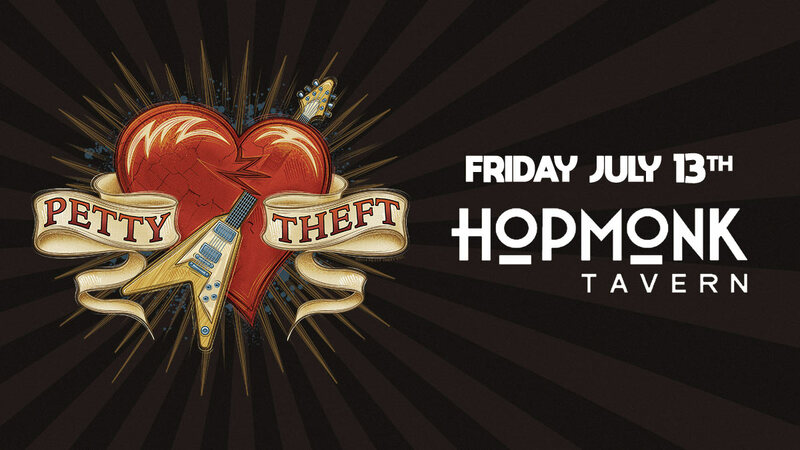 FRIDAY, 7/13 HopMonk Tavern – Novato. This is a rare summer club appearance in this intimate Marin venue. This will be “An evening with” performance featuring two-sets of all your favorite Tom Petty songs. Tickets are already going FAST for this one so grab yours now and JOIN US. Our summer show schedule kicked off on Memorial Day at the Mill Valley Summer Carnival for Kiddo Benefit. 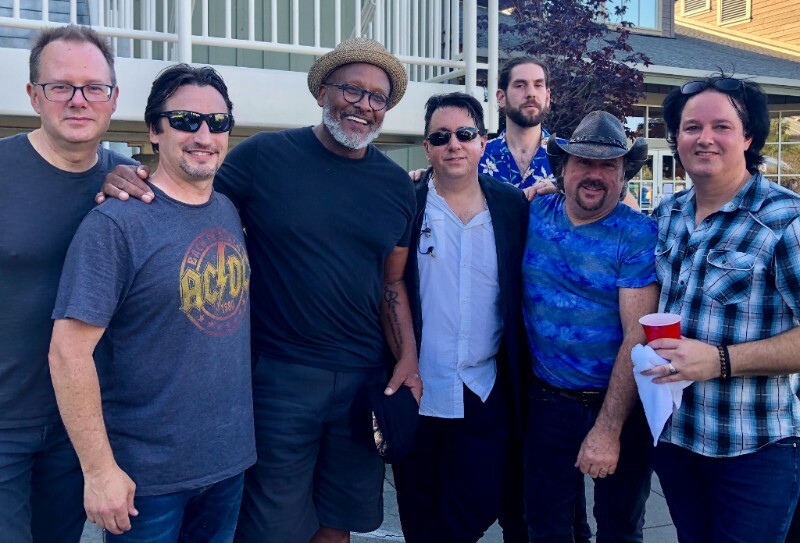 It was special day for us as we were honored to be joined by none other than “Real Deal” and legendary drummer Steve Ferrone of the Heartbreakers! We were like kids in a candy store playing with one of our hero’s performing: “I Won’t Back Down”, “Runnin’ Down A Dream”, “Don’t Come Around Here No More”, and a grand finale of “It’s Good To Be King”. Joining us for the last song was Kenneth Brian of the Kenneth Brian Band. It was truly a magical moment for us to play Tom Petty’s music with his drummer of over 20 years. A heartfelt and special experience playing these songs, some of which were the first time Steve has played them since Tom’s passing last October. We will carry this musical high with us as we continue on into our summer show schedule adventures. We hope you will JOIN US! SATURDAY, 6/2 Walnut Creek Art & Wine Festival We are looking forward to being back in the East Bay at this fun outdoor event and our first Art & Wine festival show of the year. We will be closing out the first day of music performing from 5-7PM. It’s FREE and ALL AGES are welcome! SATURDAY, 6/9 Novato Art & Wine Festival We’re excited to be back to headline the Redwood Stage on Saturday at this great annual event in downtown Novato. Great food, great drinks, art booths and cool people ready to have a great time. We will be closing out the first day of music performing from 5:30-7PM. It’s FREE & All Ages are welcome! THURSDAY, 6/14 El Dorado Hills Town Center We missed last year after a seven year run at this great summer outdoor concert but we’re back this year! We will perform 2 sets starting at 6:30PM. Once again it’s FREE and All Ages are welcome. JOIN US! FRIDAY, 6/22 Alamo Summer Concerts – Livorna Park, Alamo, CA. Another outdoor event in a family friendly park. This is a return performance for us and last time the park was packed! Get there early. We will perform from 6:30-8:30PM. SATURDAY, 6/23 The Catalyst – Santa Cruz, CA. We return to headline another evening in this historic venue which happens to be the only venue we have played that Tom Petty & The Heartbreakers performed back in 1977. Our headline debut last year was a big success and a great night for us. Come JOIN US again for a very special evening in this classic music venue in Santa Cruz. Tickets are on-sale and remain available now! SATURDAY, 9/15 The Fremont Theatre – San Luis Obispo, CA. We are looking forward to being back at this amazing theatre where we had one of our best debuts last January. Tickets are on-sale and available now!